The Blockchain is drawing more attention every day to the Ethereum trend, and fueling more efficient technology solutions for companies and individuals. Ethereum is a sprawling, decentralized network that is fueled by a cryptocurrency known as ‘Ether.’ It is one of the newest technologies employing new tools, including blockchain technology, to achieve a decentralized objective. As a result, the Ethereum trend is growing stronger by the day. The power of the blockchain technology behind Ethereum is so real that even if the current craze abates, it will still continue to thrive. No wonder many businesses are trying to harness its potential but this is never going to be easy. Till this very moment, miners are still placing and securing information and transactions in blocks. As a matter of fact, this technology can be used for more complex applications and not just for sending and receiving transactions. The development of this new technology lies within the confines of Ethereum. Now, it is up to innovators and developers to see what can be made out of the toolbox. In today’s blockchain world, Ethereum is not only being considered as the main platform but the bar bathroom, the paper, or even the canvas that you cannot help but read. Unlike Bitcoin, Ethereum appears not to be specialized for only one single purpose as it’s designed to function as a generalized blockchain. Interestingly, anyone can program viable blockchain solutions aimed at meeting their specific needs using this technology. Ethereum is established to function without a third party while facilitating cryptocurrency trading and smart contracts. It basically makes use of blockchain technology to operate as an open-source public service. Currently, there are two accounts available on the platform: contract accounts and eternally owned accounts which are run by private keys influenced by human users. At the moment, Bitcoin rules as the most popularly used cryptocurrency. However, many (experts, developers, and users alike) have been speculating that Ethereum will be the next king of cryptocurrencies – i.e. expected to take over Bitcoin in usage – due to its aggressive growth. Ethereum is mineable but it does not offer miners reward for solving a new block as some cryptocurrencies will do. Rather, it grants miners the permission to obtain a transaction fee. Ethereum is estimated to reach a supply of over 90 million tokens by 2021 when only half of its coins will be mined. As a matter of fact, miners stand to complete more blocks and obtain more Ether due to its faster rate of confirmations. As opposed to Bitcoin’s “proof of work” system, Ethereum employs a “proof of stake” system as its security protocols. As part of its unique blockchain solutions, Ethereum offers several methods of exchange including EVM (the Ethereum Virtual Machine), smart contracts, and Ether (its unique cryptocurrency). So rather than restrict users to just the transfer of funds between entities, these solutions are presented to basically allow companies and individuals to achieve much more. There are hopes that these blockchain solutions will serve as a panacea for all use cases that are yet to find a specialize system to employ. Though recently a split that led to the creation of Ethereum Classic (ETC) was observed within its community when $50 million worth of Ether was stolen, this has not in any way affected the scalability of Ethereum. 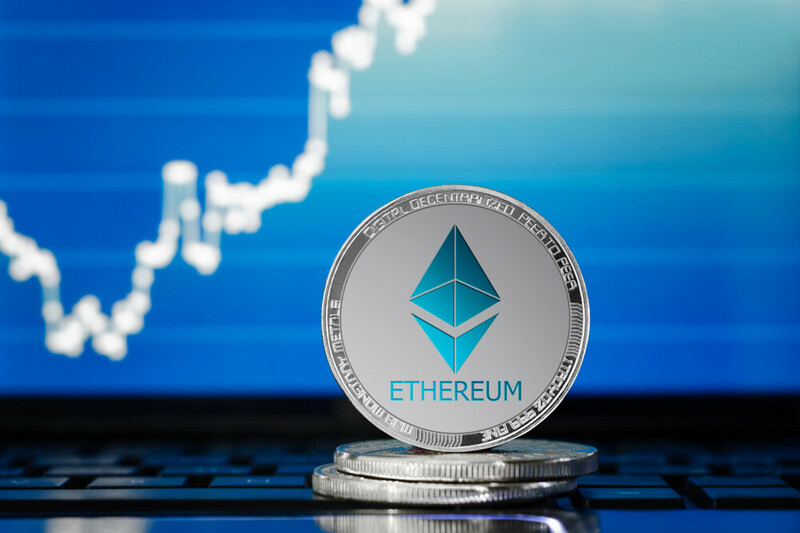 Despite experiencing some growing pains as other cryptocurrencies, Ethereum is still very much on the right part to becoming an industry leader. Ethereum holds limitless potential and applications despite being considered as a very young platform. While some investors seem to be very much cautious about its volatility, many are just being attracted to its tremendous growth. Just so you know, many investors have recently shown great interest in the blockchain development which led to an upsurge of about 13,000 percent in the Ethereum currency. Smart contracts are basically referred to as the “most revolutionary technology.” As part of its unique blockchain solutions, Ethereum smart contract is available for anyone to deploy. Basically, the blockchain is designed to provide a decentralized and transparent protection (security) for anyone deploying an Ethereum smart contract. Any digital contract that can enforce the terms via code and can be secured cryptographically is simply referred to as a smart contract. Interestingly, anyone with programming abilities can deploy an Ethereum smart contract. It’s all about programming your own smart contracts. One good thing about Ethereum is that it operates a kind of decentralized system whose blockchain technology can be build upon by any company as an open source. With these solutions, anyone can effectively establish a more usable and programmable blockchain customized for their specific needs. Basically, it provides the toolbox necessary for companies to create and employ solutions with their fascinating ideas. There are many weaknesses and issues present in today’s systems that can be relatively addressed by these solutions. However, it is important to note that there are still many revolutionary ideas that are yet to be created and employed. These decentralized applications all have one thing in common – open source code. As part of the blockchain development process, Ethereum basically seeks to store all the data obtained from the application in a public blockchain. With the blockchain development, many businesses are already creating tokens on the Ethereum blockchain as part of their business project which is then offered for sale by employing a smart contract. People see this as an investment opportunity – purchasing these tokens. Basically, most companies are using this means to fundraise for initial capital. Now that everything’s going digital, it is evident that this technology will play a critical role in the operations of many industries. Soon, supply chain shipments, diamonds and gold, cars and houses, and other real-world assets will be digitized. Ultimately, they will have a digital identity that will enable easy and quick verification, tracking, sales and trading. With this blockchain development, these assets will not only be stored but all information associated with them will also be protected. This is how DApps, smart contracts, all other tools are promoting the scalability off the Ethereum network. Security is the major area that people are holding on now to ultimately prevent theft and loss of data on the network.